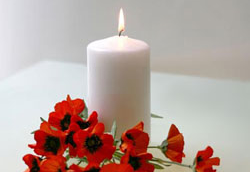 There are many ways you can give to the Multiple Sclerosis Association of America (MSAA). Without the support from our generous donors, MSAA would not be able to continue to improve lives today and make it possible for those diagnosed with multiple sclerosis (MS) to live their lives to the fullest. Facebook users now have two exiting ways to support MSAA's free programs and services! Connect your MSAA peer-to-peer fundraiser to Facebook to raise money even faster with the help of your friends and family, or create a Facebook Birthday or Occasion Fundraiser and collect donations from your Facebook friends to help reach your fundraising goal. 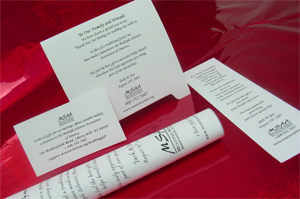 Give a special meaning to your upcoming event by making a donation to MSAA in place of conventional occasion favors. These favors are perfect for events such as weddings, birthdays, anniversaries, Bar or Bat Mitzvahs, graduations, retirement parties, and other special gatherings. Don't sell or trade-in your used car, truck, SUV, motorcycle, RV, or boat - donate it through our easy vehicle donation program and help improve lives today. Double your impact! 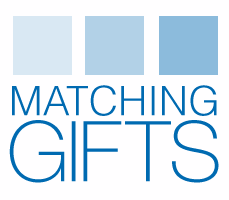 Many companies offer matching gift programs to encourage employees to contribute to charitable organizations. Most of these programs match contributions dollar for dollar, and some will even double or triple the amount of your gift! 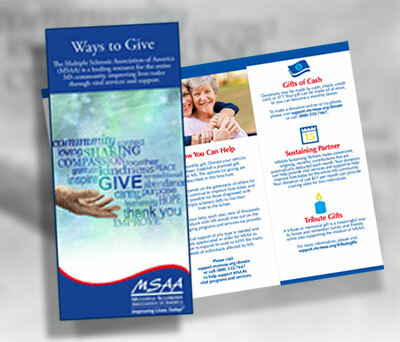 This brochure highlights the many ways donors are able to support MSAA, and is available to view or order.